SMART by GEP provides comprehensive, enterprise-wide spend visibility with in-depth analytical reporting and business intelligence along with savings tracking and savings opportunity identification tools on a cloud-based, mobile-native platform that you can access anytime, anywhere from any device Unlike other spend analysis tools that offer little more than reporting from your ERP or AP systems, SMART by GEP automatically integrates and transforms the source spend data from all key systems across the enterprise into a single dataset. This data can then be easily classified and interrogated to support activities like spend management, supplier management and savings project management, among others, in the entire source-to-pay cycle. GEP is one of the fastest-growing technology companies in the world and a pioneer in cloud-based procurement and supply chain solutions for blue-chip enterprises worldwide. 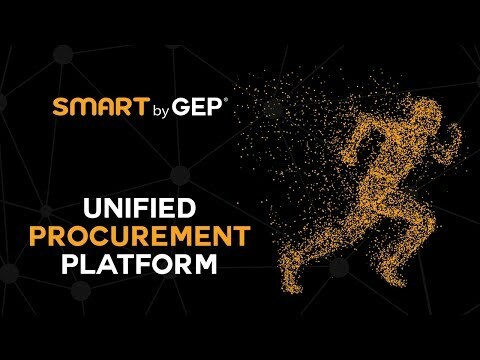 Intelligent, intuitive software from GEP is helping procurement and supply chain organizations at market-leading enterprises across the world boost productivity and performance, slash turnaround times and increase savings. Q. What if my spend data is spread across multiple systems and in different formats? Unlike other spend analysis tools that are able to use data only from a single ERP or AP system, SMART by GEP collates spend data from multiple source systems and enriches it through data cleansing, data classification and data validation processes before presenting it as a single dataset. The improvement in data accuracy and enterprise-level spend visibility achieved by deploying the SMART by GEP spend analysis system helps enterprises identify key suppliers, evaluate pricing trends and identify savings opportunities in addition to identifying non-contractual spend and reducing maverick spend. Q. Which spend taxonomies can I use with SMART by GEP’s spend analysis tool? SMART by GEP’s spend analysis capabilities are not tied to any one particular taxonomy and customers can choose to use one preferred or multiple taxonomy standards, including industry-specific UNSPSC, SIC Code, or any enterprise-specific taxonomy. Q. Does SMART by GEP allow multi-language and multi-currency support? Yes. SMART by GEP has inbuilt multilingual capabilities covering all major European and Asian languages. Data from all sources and in all languages and currencies can be included to provide real global spend visibility. Q. Can we use the same spend analysis tool across multiple geographies and business units? Yes. The same spend analysis tool can be used across multiple geographies and business units. The software facilitates 360-degree spend visibility for stakeholders across every business unit or geography, increasing transparency and enabling cross-functional collaboration. Q. How long does it take to implement the spend analysis tool? The time required to implement SMART by GEP’s spend analysis function is different for every case. It largely depends on the volume and complexity of the raw data, and the number of source systems.